Mazda has aspirations to return to the Le Mans 24 Hours with a turbodiesel LMP2 engine that will race in next year's United SportsCar Championship. A pair of factory-backed Lola coupes powered by the SKYACTIV-D engine will be run by the US SpeedSource team in the full USC in 2014. 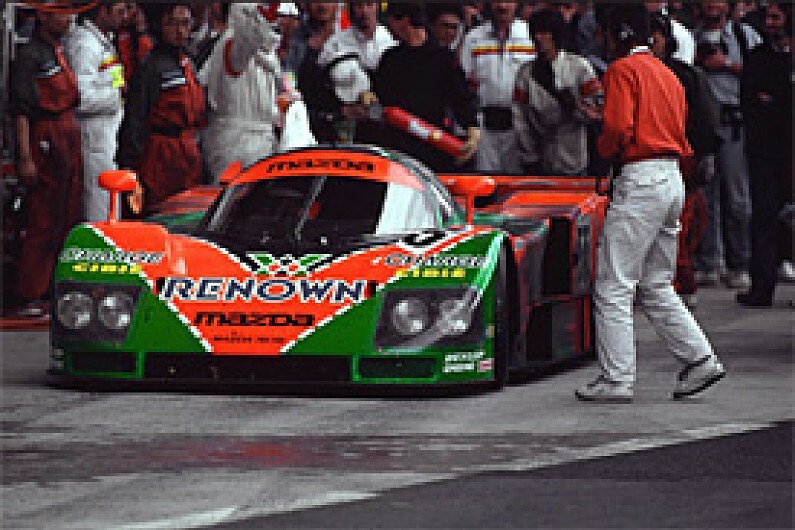 Mazda, which won Le Mans with the rotary-engined 787B Group C car in 1991, hopes next year's programme will be a lead-in to the engine being allowed for Le Mans and the World Endurance Championship in the future. Mazda USA motorsport boss John Doonan said: "We want to go back to Le Mans and you could say we are following a similar route to the old days when we first went with a Group C Junior car [in 1983]. "The view of the FIA and the Automobile Club de l'Ouest [which jointly run the WEC] was that we should give it a go in the US series. They said, 'we will watch how you perform and gather data'. "In the best-case scenario, we would love to be at Le Mans in 2015, but we cannot say that emphatically." ACO sporting manager Vincent Beaumesnil explained that its decision not to allow diesels in P2 could be reviewed after next season. "What we have decided is that they should race in the USA for one season and then we will look what happened and see what we will do. "We have a good equilibrium in P2: we have a lot of cars and everyone is happy with the rules. "We are concerned about destabilising the class, because we have no guarantee that we can control the performance of a diesel engine. That is why we decided to go back on our original decision to allow them." The Mazda P2 turbodiesel was announced during Le Mans week in 2012 and the plan was for the engine to race in the back of Lola entered by US actor and driver Patrick Dempsey's team. That deal broke down and then the ACO subsequently backed away from its commitment to allow production-based turbodiesels in LMP2. The engine was subsequently developed this year in a Mazda6 in Grand-Am's GX class for experimental racers, winning the division in nine of the 12 races. Mazda has opted to continue its relationship with Lola, which began when the B-K team represented the marque with its AER-built petrol-engine P2 turbo in the ALMS in 2007-08 and continued to finale race of the series last month with Dyson Racing. Speedsource had one B12/80 that it purchased before Lola closed its doors last year and have bought a second B12/80 from Multimatic Motorsport, which has the licence to build the British constructor's designs. The first car tested in Canada near Multimatic's Toronto base at the Calabogie Motorsports Park in the middle of last month and resumed testing today at an undisclosed venue. Speedsource boss Sylvain Tremblay handled initial testing, but Doonan would not be drawn on drivers for the programme.